The cable mausoleum is used to store excess lengths of the cable from the array. Normally this cable is buried (in what is called a cable 'grave'). However, for KAIRA this needs to be above ground (hence the corresponding term 'mausoleum'). 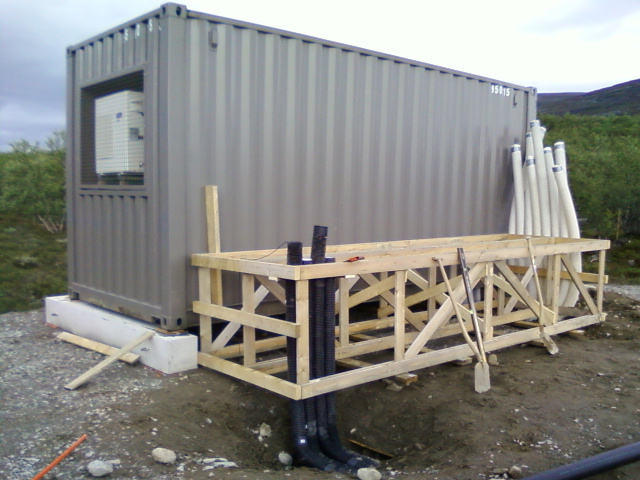 As will be seen over the next few days, this containment space will end up holding up the surplus signal cable. It is like a table, upon which the excess length will be zig-zagged back and forth. And, at either end, there are ducts going down into some of the few places where cables go underground. 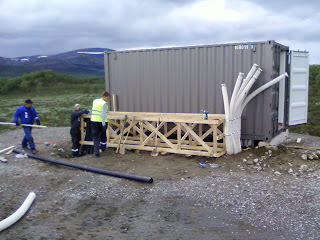 Rauno Oikarainen,Pertti Nissinen and Arttu Jutila assemble the cable mausoleum. 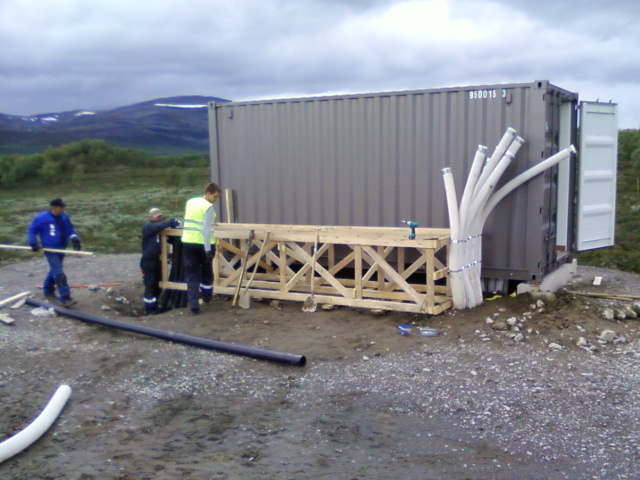 container, clearly showing the input and output ducting.